Long, wonderful weekend. I needed it so much! The only down side was the heat rolled in to Minnesota. I know the whole country is in a heat wave and we are not that hot, but for Minnesota 90 degrees with 70 per cent humidity is tough. 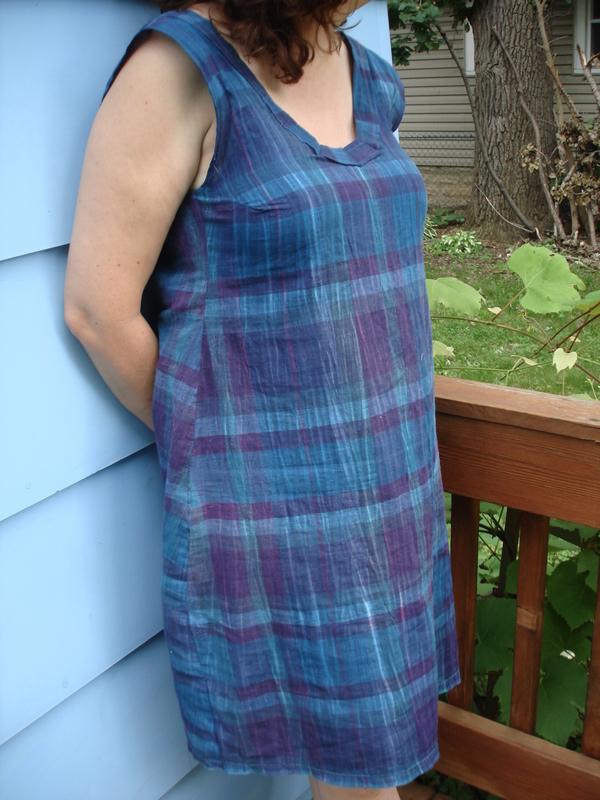 I have been meaning to make myself a summer dress. I am happy with the way it turned out. I am not as happy with the back because it gaps a little around the keyhole. I plan to add an elastic band in the back to solve that problem. Otherwise, it is very comfortable and cool. By the way I bought this fabric at garage sale with a bag sale so it was five dollars for the whole grocery bag. I figure that makes this yardage about twenty five cents.